Atelier by Silhouette Arrives in Farnham! Farnham are proud to be one of the fourteen UK stockists of Atelier – a stunning collection of frames by Silhouette! Silhouette is a fantastically popular brand across the whole Leightons group, known for their close attention to detail in their carefully crafted rimless frames in particular. Now, their luxurious Atelier collection, is exclusively in Leightons Farnham. Handmade in the heart of Austria, Silhouette Atelier frames are carefully crafted in solid 18ct gold. In keeping with Silhouette’s classic contemporary look, Atelier gives minimal design massive impact with mixtures of golds, diamonds and precious stones. Nothing is too much for this collection – each pair of Atelier glasses is as carefully handcrafted as a piece of jewellery. Silhouette have been a pinnacle of minimalist eyewear for over 50 years, constantly giving a new and unusual twist to their classic designs. Many of their frames are rimless, and in the case of Atelier, have carefully shaped gold arms and a frosting of precious stones to make a dramatic impact. 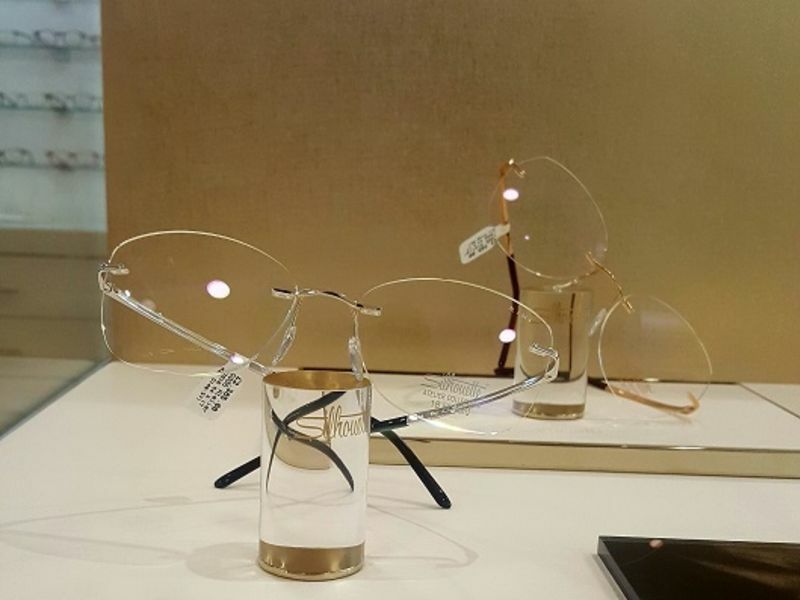 Silhouette Atelier frames offer solid 18ct white, rose or yellow gold. These all have very contrasting colours and will suit each person differently. With quality being a priority to Atelier, they also offer diamonds graded colour G (in the rare white category of the scale) and clarity VS (inclusions are not visible to the naked eye). Their coloured stones speak for themselves – with anything from rose hued rubies and pink sapphires to vibrant blue sapphires available. You can view and try on the Atelier collection in our Farnham branch. Whilst your browsing the selection, why not also book an eye test to see whether your eyesight or prescription has changed? You can book online, or call us on 0800 40 20 20.